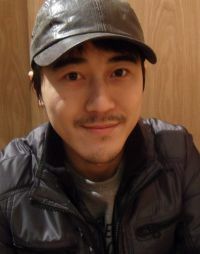 Born in Gongju, Korea in 1984, LEE majored in acting at the Dong-Ah Institute of Media and Arts. His graduation short "I Solve Everything Whatever" (2006) won the Netizen Award at the INDIE Boom online Independent Film Festival. He subsequently made the shorts "Life of Dog" (2009) and "Help" (2009). He built his acting career on stage participating in plays such as "Hohwanmama" and "Grandfather’s Case". He also worked at Cube Entertainment leading their media division. After two years of development, he wrote and directed his feature debut "Fatal". Korean movie of the week "Fatal"